Summer is almost over, which means it is time for us to return to Seattle for PAX West. As with every year, this show is going to be bursting at the seams! 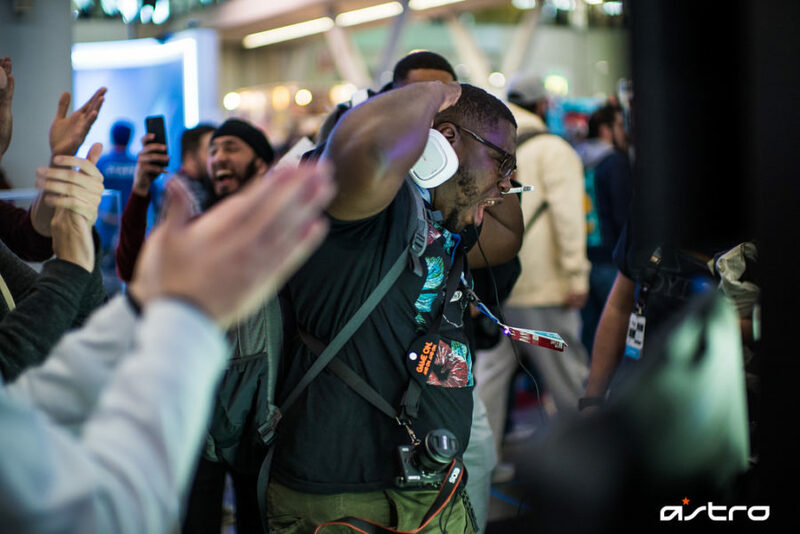 Between the A40 TR Headsets + Logitech G gear at the Fortnite Summer Skirmish to Jack Pattillo from Rooster Teeth hanging out in-booth, there with all types of events and activities for gamers to enjoy! Read on for the rundown. Exclusively at PAX West, we will have 100 individually numbered limited edition A40 TR X-Edition Headsets available for sale at the ASTRO Gaming booth. There’s only 100 of them and once they’re gone, that’s it, so make sure to stop by first thing if you want one! Additionally, you can get up close with The Legend of Zelda™: Breath of the Wild A10 Headset, available at the Switch demo stations! 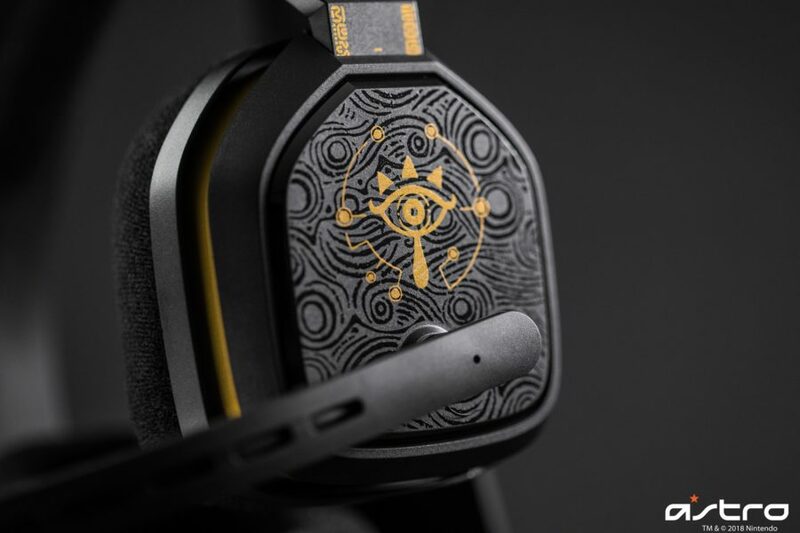 Be sure to stay tuned to our social feeds for a special announcement about the Zelda A10 Headset coming soon! 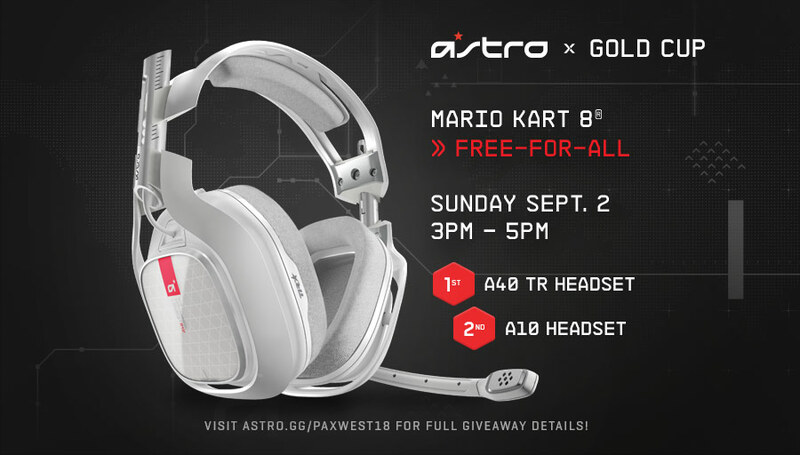 Sunday from 3pm – 5pm at the booth, you’ll have the chance to play Mario Kart 8 Deluxe™ on Nintendo Switch to win great ASTRO gear like a new A40 TR Headset or A10 Headset! *Nintendo is not an official sponsor of the Gold Cup Giveaway. In addition to the Gold Cup Giveaway, we will also be hosting the Royale With Cheese Saturday and Monday at the booth! 2 Xbox One stations and 2 PlayStation 4 stations will host a Fortnite Free-For-All! No teams will be allowed, but you and your duo can play! 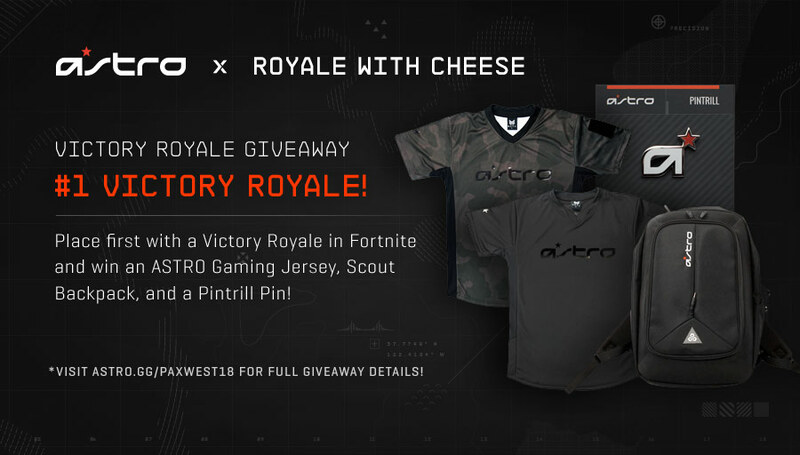 Win a #1 Victory Royale in Fortnite and you’ll win an ASTRO Jersey, a Pintrill Pin, and Scout Backpack! As with the Gold Cup Giveaway, the line fills up quickly, so please remember this is first come, first serve! 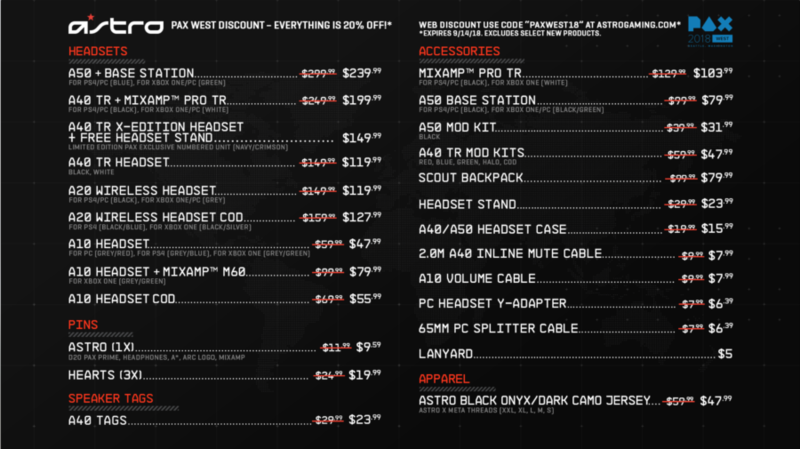 We have a number of great new ways to join the ASTRO family and win great new gear this year! 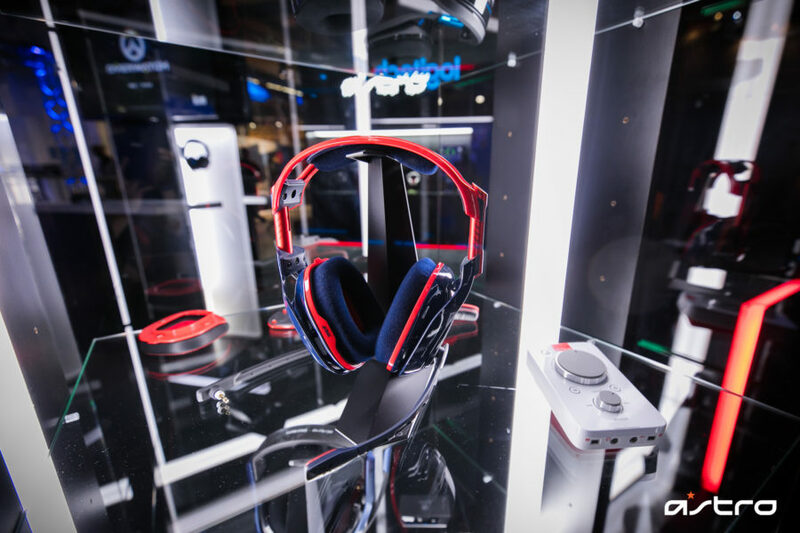 New this year at PAX West is the ASTRO Gaming Best in Show Photo Contest! – Use the hashtag “#ASTROfamily” when sharing your photo to social media. – Be entered to win a Scout Backpack, A40 TR Headset, and a Headset Stand! – If your photo is randomly selected, fans will be able to vote for a winner by a poll on our Twitter feed, so be sure to stay tuned! – If you win, we will DM you so make sure you’ve got Twitter handy. – The contest goes live Friday at 10 am PST! 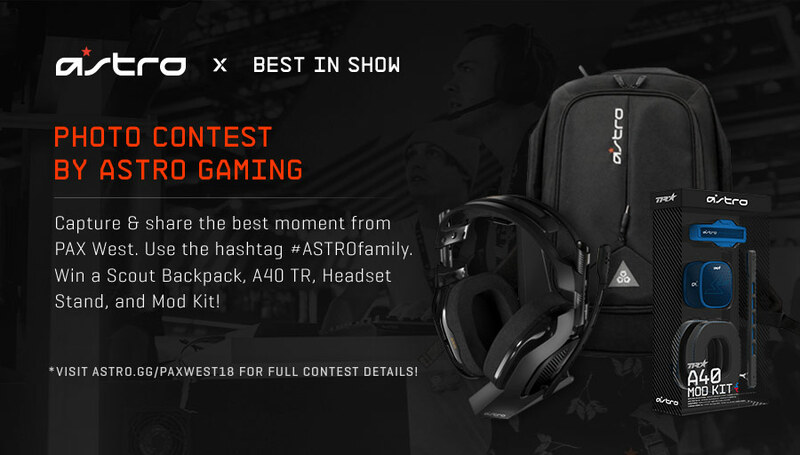 Check out the ASTRO Best In Show Terms and Conditions blog for full giveaway details. For those of you attending the show, you can save 20% on nearly everything in-booth! From Speaker Tags to MixAmp Pro TR’s, now is the time to upgrade your gaming arsenal. 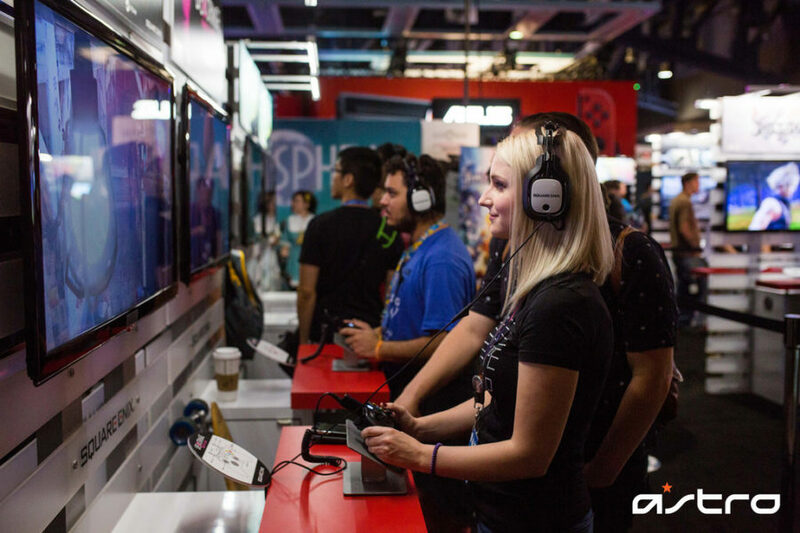 Don’t worry if you’re not in Seattle—use code “PAXWEST18” when you checkout online and save 20% on your purchase! When you purchase the ASTRO Gaming jersey (for sale exclusively at our booth! ), you’ll receive a discount on customizing your jersey in the Meta Threads booth! 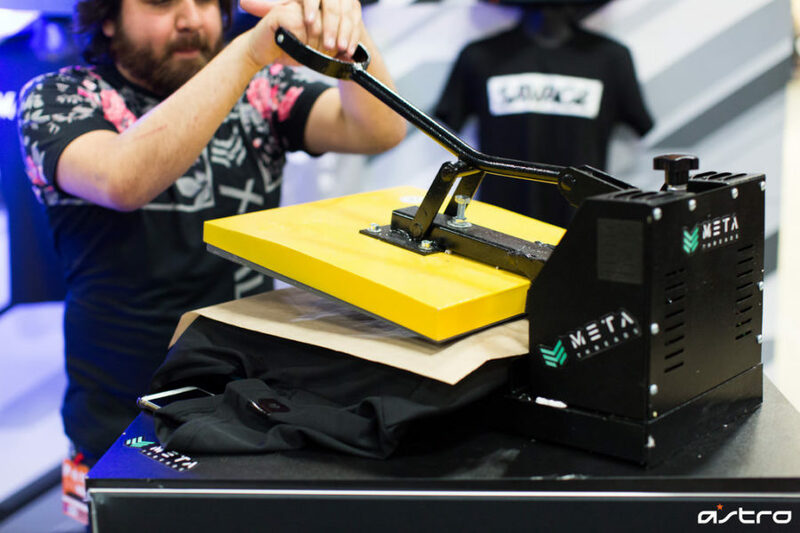 Please note: the only place to get your ASTRO Gaming jersey customized is at the Meta Threads booth at PAX West; the only place your discount will work is with Meta Threads. 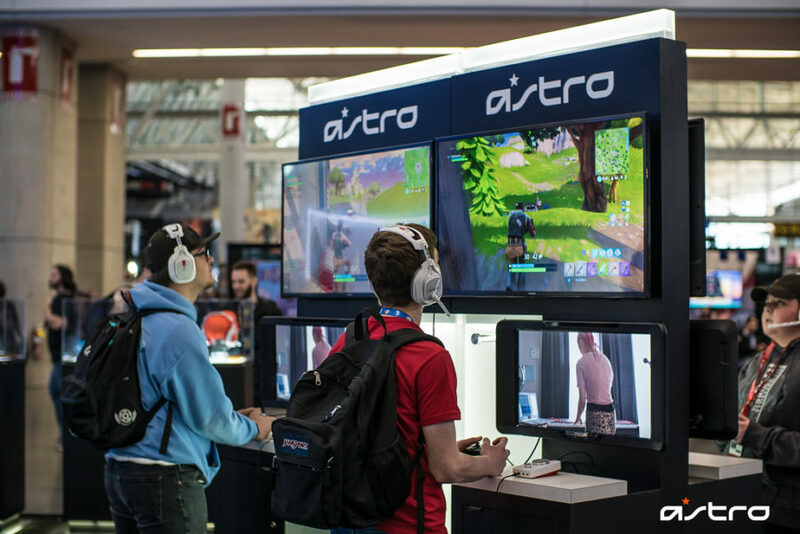 The ASTRO Booth will have free-play stations so you can demo our products and learn more about the right solution for you, and the ASTRO Crew will be on-hand to help answer any questions and talk gaming. 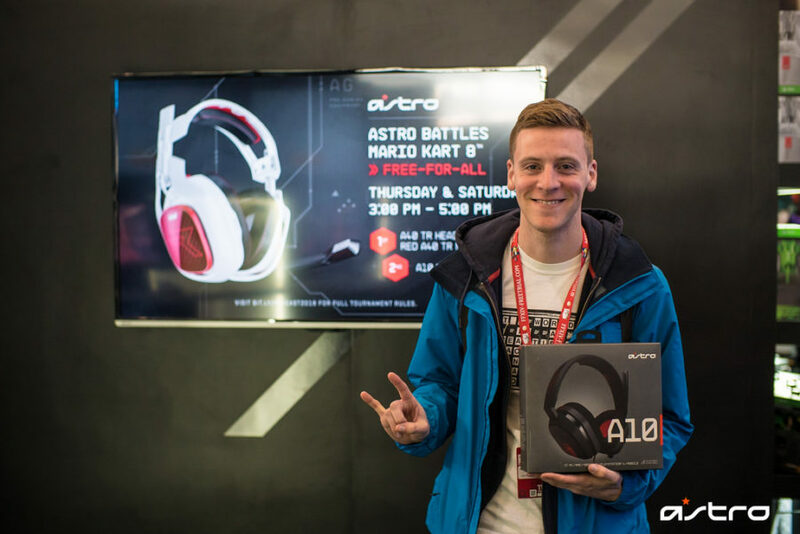 We love getting the chance to meet the ASTRO family one on one to hear feedback and your thoughts on gaming! 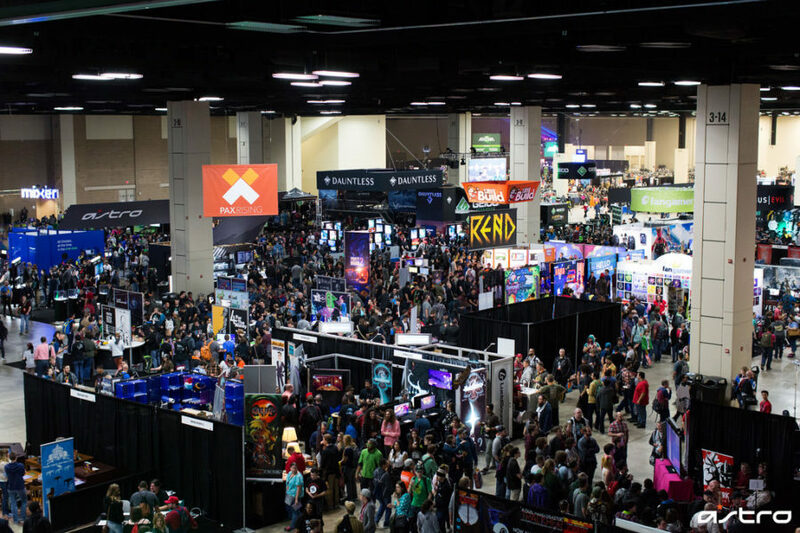 We can’t wait for another great year at PAX West! See you there, ASTRO family!